Gastroesophageal reflux disease or GERD occurs when stomach acid and/or bile flows back into your esophagus, the pipe that allows food to travel from the mouth to the stomach. This process of acid backflow is called reflux. The acid can irritate the lining of your esophagus and cause heartburn, the chief GERD symptom. By avoiding certain foods together with other lifestyle modifications, you can minimize heartburn symptoms and successfully manage GERD. 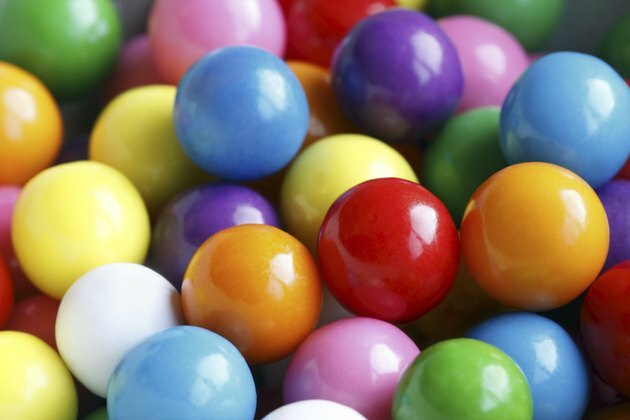 Gum and hard candy can increase the amount of air you swallow when chewing or sucking, according to the GIcare.com. Excess air can result in reflux. By avoiding chewing gum and hard candy, you can reduce your stomach's chances of creating acid that leads to heartburn. There are several foods that increase the amount of acid produced in your stomach, which will in turn produce more reflux. Avoiding these foods will help manage GERD symptoms. All foods that are fatty and fried should be substituted for baked or grilled items, which means that many items on fast food menus should be avoided. Whole and chocolate milk should be swapped for low or fat-free counterparts. Spearmint and peppermint, chocolate, cooking oils and foods or soups that are creamy are all known triggers for increasing acid reflux and should be avoided. There are several foods that can further inflame an already irritated lower esophagus, which can cause great discomfort to a GERD sufferer. These foods should be avoided or at least limited. They include citrus fruits and vegetables eaten in juice form or whole, including tomatoes, grapefruits, oranges and pineapples. Beverages to be avoided include anything alcoholic, carbonated or caffeinated. If you must have tea or coffee, consider switching to decaf options.